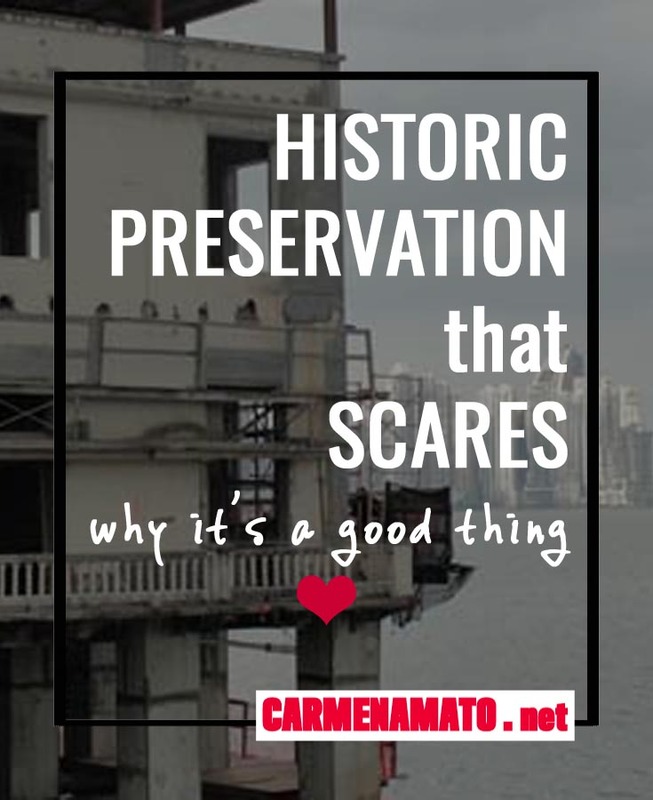 Elsewhere in this blog I’ve talked about historic preservation as a means of taking the temperature of a culture. A healthy culture chooses to preserve both its good and bad: we celebrate the good and learn from the bad. The bad is often scary and it might be preferable not to remember these things but they carry unforgettable universal lessons. 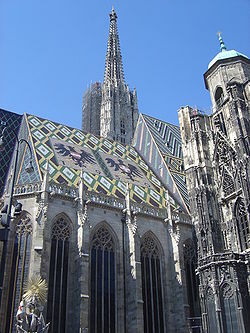 Background: The beautiful Gothic cathedral in the center of Vienna is home to the Roman Catholic archdiocese of Vienna. It anchors the main Stephensplatz with fantastic architecture, stained glass windows, and graceful spires (445 high at its tallest point.) Dedicated to St. Stephen in 1147, the church underwent the usual Middle Ages rebuilding and fires. After WWII much of it was rebuilt and the cathedral reopened in 1952. Preservation: Human remains lie under the church in its catacombs. You can tour the catacombs, passing through a narrow passage to see neatly stacked skulls in one huge chamber, femurs in another and so on. The bones are the remains of the eight cemeteries that used to exist around the church. The cemeteries were closed in 1735 due to bubonic plague and the dead were taken from the cemeteries and stored under the church in what must have been a space-saving and gruesome manner. Bodies were buried in the catacombs until 1783, when most burials within Vienna were outlawed. According to Wikipedia, the catacombs hold over 11,000 remains. Lesson: The power of disease cannot be forgotten. Those bones symbolize the destructive power of disease and the ignorance of how to cure it. This is why today we have the Center for Disease Control. Background: Dachau was the first Nazi concentration camp established in Germany, described as a camp for political prisoners. It opened in 1933, 51 days after Hitler came to power. It was in operation for 12 years and recorded 206,206 prisoners and 31,951 deaths–like all the numbers associated with Nazi death camps take these with a grain of salt. The American forces that liberated the camp were so shocked at what they found–and by local residents’ claim that they knew nothing about the camp—that they made the residents clean it up. Preservation: A walk through the preserved site is like walking through a cemetery while the spirits call out to you. There is a memorial and a museum. The foundation of the barracks are left. A short walk from the barracks and the parade ground is the crematorium. One oven was sized for children and is a sight I’ll never forget. 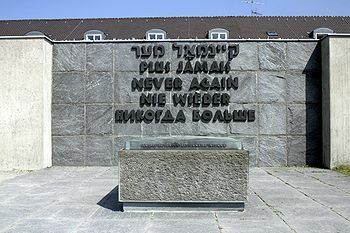 Lesson: Man’s inhumanity to man is a sledgehammer blow of a lesson when you see Dachau. Everyone who walks through here understands it at a visceral level. But genocide endures nonetheless. Preservation: The Kon-Tiki raft is now in a fantastic museum in Oslo, Norway, together with another Heyderdahl raft called Ra. His archives at the Kon-Tiki Museum are part of UNESCO’s Memory of the World registery. Lesson: This raft and its journey hardly seem to be an example of scary historic preservation until you consider the implications of Heyderdahl’s theory. Ancients travelling the globe in pre-Columbian times, settling and spreading their seeds in far-flung places means that we could all be a lot more related than we think. And that is a scary thought to many. Background: On 7 December 1941, the day that will live in infamy, Japanese imperial forces attacked the US naval base at Pearl Harbor. Waves of aircraft bombed battleships sitting at anchor, destroying much of the US’s naval power. On the USS Arizona alone, 1,177 crew members died, making it the greatest loss of life on any U.S. warship in American history. 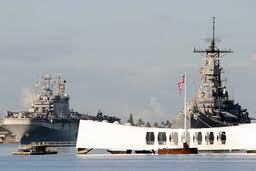 Preservation: In 1961, a floating monument was erected over the sunken USS Arizona. Visitors can peer through the glass floor and see the mid-portion of the sunken battleship. I remember being embarrassed that I’d worn high heels; it seemed indecent that my feet should click against the watery graves of so many men. The 184-foot long Memorial also has an area called the shrine room, where the names of those killed on the Arizona are engraved on the marble wall. Lesson: The Memorial is a powerful reminder of the havoc wreaked by war. It cautions us not to forget those who sacrifice. Background: In 79 AD, the cities of Pompeii and Herculaneum were destroyed and buried under 13-20 feet of ash and lava when nearby Mount Vesuvius erupted. It is hard to know how many people died that day but Pompeii was thought to have been a large and thriving agricultural town. The eruption, which lasted 12 hours, ironically occurred the day after the feast day of the Roman god of volcanoes. 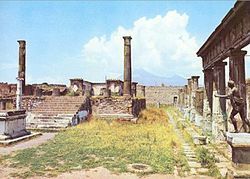 Preservation: The ruins of Pompeii were discovered in 1748. One of the archaeologists supervising the ash removal devised a way to inject plaster into the bodies found, preserving their death agonies as they were incinerated or died from smoke inhalation. As I walked around the large site in Italy’s August heat, marveling at the amphitheaters and well-constructed homes, it was easy to think of hot ash raining down and to realize how much had been lost. Lesson: Nature does what it will and we must respect and adapt to it. As the climate change debate goes on and we deal with unexpected droughts, tornados or snow in places that ordinarily don’t see these weather phenomena, perhaps it is a good time to consider that the people of Pompeii probably though they had the god of volcanoes well in hand.